Nestled along the easternmost extension of the Austrian Alps, Vienna sprawls into the distance with shed roofs, simple trusses and vertical posts engulfing the architecturally-distinct central European city. Lauded for its worlds-best quality of life, the city is the central nervous system of the Austrian economy, which is among the 14 richest on the planet. With an unemployment rate of 4.9% and a low Gini-coefficient, the ordinary Austrian revels in the comforts of clunky Viennese Blends and Rindsuppe. The true beauty of western economic modernity one would suppose. Some 7,000kms east of the Austrian aristocracy, shelved within the lush greenery and waterways of the subcontinent, lays one of the most densely-populated cities in the world: Dhaka, Bangladesh. Under a blanket of dense smog, labourers toil for hours in sweaty garment factories for low-wages, with remote chances of experiencing upward social mobility. Social security is at a bare minimum and the average Bangaleshi lives on the peripheries of society. Out of sight – out of mind, most of the western world would lament behind closed doors. These two countries are interesting examples, if not crude representations of the paradoxical eventualities of the capitalist system that the world has embraced since the end of the second world war. However, the state of affairs in the middle of these examples is staggering, notably in the so-called “nearly-men” of first world-hood, states like Brazil, India and most emphatically; South Africa. South Africa is a weird place. Studies by the World Bank and the United Nations Global Compact suggest, or rather yawp, that South Africa is the palatial theatre of income inequality. A place where Austrian opulence and Bangladeshi penury co-exist, often within the same postal code. A startling show-ground where “garden-boys” and “corporate boitjties” rub shoulders. The top 5% in the country collectively own two thirds of the country’s wealth, enjoying a quality of life on-par with their compatriots over in Vienna. Having experienced an unprecedented level of institutional corruption and patronage at a governmental level and private sector accounting failures – South Africa’s top 1% has made a concerted effort to consolidate its share of the country’s wealth and inadvertently exacerbate the levers of inequality within the country. With economic growth slowing from 1.3% in 2017 to 0.7% in 2018, inequality has fueled even further. Inequality in South Africa has some telling implications to investors and asset managers alike. Excessive inequality tends to have negative consequences on investor’s long-term investment performance, and negatively affects the financial system in which investors participate and the world which beneficiaries live. In addition, the emergence of inequality as a topic of concern both locally and internationally may change the risks and opportunities that affect available investment opportunities. Analogies and comparisons aside, the broader investment community should embrace the initiatives of the small group of responsible investment advocates and take active steps in fighting inequality. Perhaps the most functional mechanism is adjusting the current method of investment analysis to include the drivers of inequality. Investors should be looking at unsafe working conditions, low wage scales and labour standards violations as sources of reputational risk when assessing the inner workings of an organisation. Playing a more proactive role in policy-based discussions around inequality is another functional mechanism where investors can contribute. In a recent forum hosted by advocacy group Just Share and sponsored by investor marketing firm Ince, South Africa’s foremost thought leaders on responsible investment engaged on how the investment industry can be a source of innovation and jobs, and a driver for accountability. 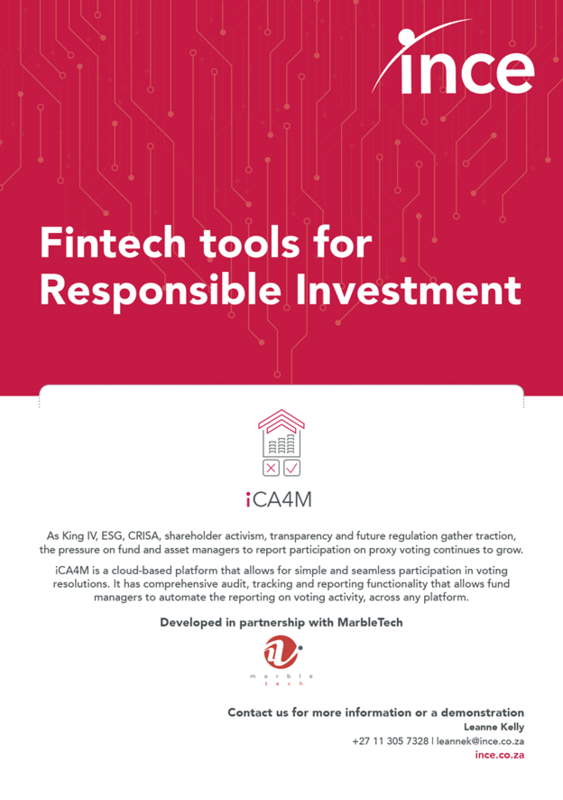 These are promising initiatives, and should show the value in expanding the knowledge around how investors can contribute towards closing the income and asset inequality gap at a substantive policy level. As stakeholder’s within the South African financial system, investors have been proactive in changing their investment habits and consideration in an effort to “be part of the solution and not part of the problem” as Futuregrowth’s Andrew Canter explained at the ‘Investment for Inclusion’ forum. 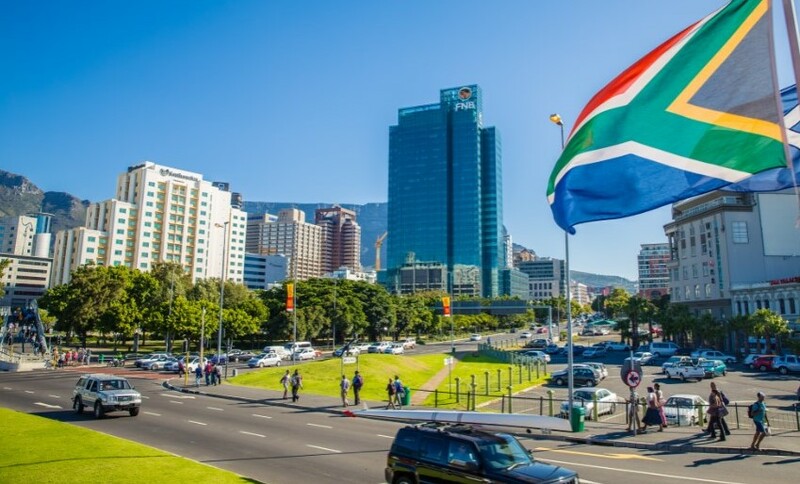 Responsible investment has gained increased traction within South Africa’s asset management landscape with an increasing focus given to creating a more inclusive investment landscape – trying to bridge the two worlds that are collectively known as South Africa. Untangling the complex web of institutional and political arrangements that drive inequality is a mammoth task. In a country where the lowest and highest earners on the planet live a stones-throw from each other, we’re in for an arduous road. However, with the emergence of responsible investing, the financial system – as a broader stakeholder within South Africa – can and should find a way to bring all of us closer together.